In the previous article, External storage support of ownCloud has been mentioned briefly. 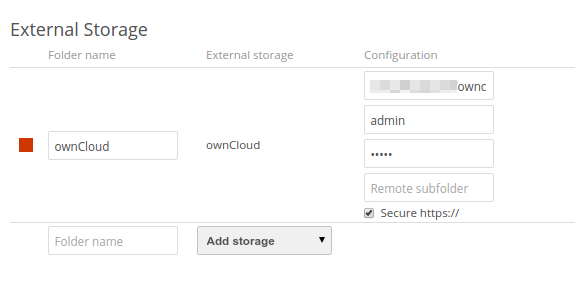 In this article, you will be learning how you can mount an ownCloud instance with self-signed certificate into your to ownCloud instance. Of course, the same procedure can be used for other mounting options. Later, you will be shown an Exception dialog where you can confirm this security exception. In the next visits, you will NOT be asked for this certificate again unless the certificate changes. On Chrome/Chromium, you need to click on Advanced link displayed in the page and choose Continue with ... (unsecured). Similarly, if you need to mount an SSL-enabled ownCloud instance, you need to tell your ownCloud instance that you trust that server. For this, the users need to import the Root Certificates for this server in their Personal settings page. So, how do we get the certificate of the server? Click on Export and save the certificate. If you already confirmed the exception, you may not see this window again. In this case, to see the same window, click on the padlock left of the address bar and click on More information. 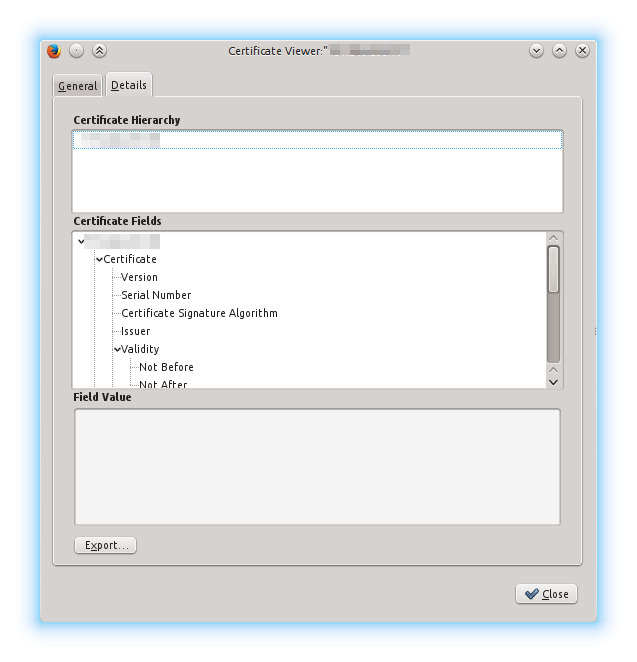 In Security tab, choose View Certificate. On Chrome/Chromium, click on the padlock next to address bar. On Connection tab, choose Certificate information. Go to Details tab and click on Export to export the certificate. Next is to import this certificate into our ownCloud instance. After enabling External storage support in app management, enable user external storage in admin settings. Make sure that ownCloud is checked. 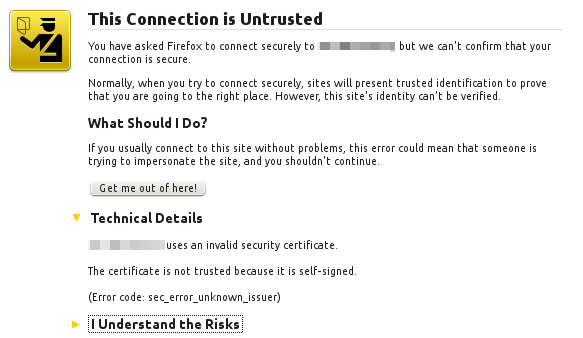 This means that we need to import the server certificate into our instance to tell that the connection can be trusted. Scroll down and find the SSL root certificates field. Click on Import and find the certificate that you have just exported. Now back to the External storage field, you will be seeing that the indicator is green and the connection is successful. If you go to Files app, you will be seeing that the new external folder named ownCloud shown using different icon. 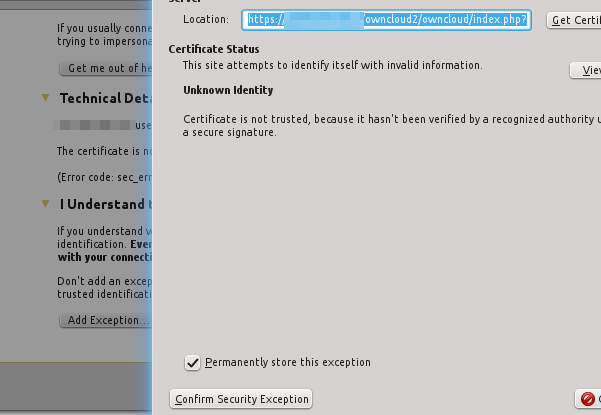 If you have imported your certificate, but still getting red indicator, make sure that the Common Name has the same with the URL of the instance.